This week has been rough. Nothing major, but sheesh I just can't seem to sleep. Falling asleep has been easy, but between by body waking itself up much earlier than I want and our dog that's been deciding to need attention early in the morning sleeping in hasn't been happening. I guess it's practice for when we get to bring our child home, but many I really want to take advantage of this last bit of freedom to sleep in until I happen to wake up. Those days will soon be gone. Obviously I didn't get a whole lot of writing done, but I was a bit productive with the blog. I met with an old work buddy this week to watch game 3 of the NBA Finals and also talk a little shop about some things I'd like to develop here. He recently finished a coding class to move into a new career field, something I've considered as well, but unfortunately it's not exactly what I was hoping he had learned. Although we're going to try and meet up soon to better define what it is I want/need and if he can do something along those lines. Time will tell! The nursery is just about finished, although we have one more baby shower to go to this weekend so we'll know everything we've received and what still needs to be purchased. I'm also working on building a two different storage shelves/bookcases for the nursery and should get that finished this weekend. They aren't perfect, but they're made with love and I'll post some pictures of the finished product. "Outlook, n. - A session at the Ouija board by financial pundits; like all Wall Street forecasts , an outlook is an aftercast, based not on what is likely to happen but rather on what has been happening. If markets have been doing well lately, then the outlook will be positive; if they've been doing poorly, then the outlook will be negative." Towards the end of the pregnancy, I had a hard time sleeping to. Too much anxiety on how things were going to work out. Good to hear that you are getting things in order around the house. Thanks for sharing a nice group of articles this weekend! Between you and Roadmap, you set me up fairly well on the articles to read : ) Thanks again and hope you have a nice weekend. Thanks for including me JC. Hope you 2 are doing awesome. Keep it up and enjoy the ride buddy. Thank you for the mention PIP! 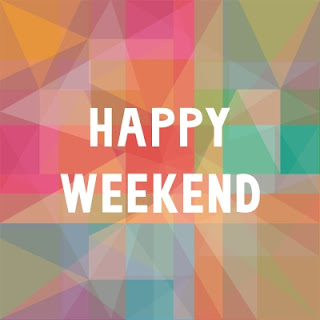 Hope you had a great weekend! Thanks for including Sure Dividend in this week's roundup!